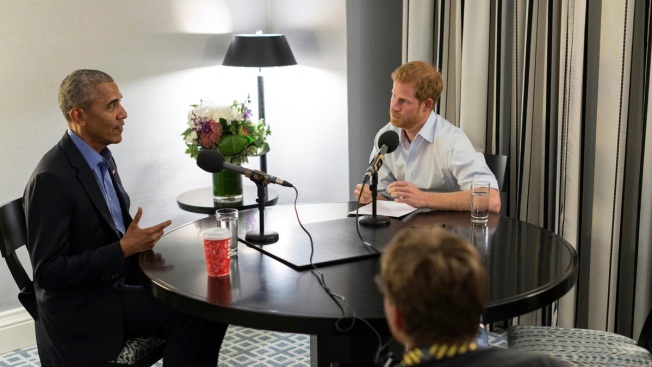 In this undated photo issued on Sunday Dec. 17, 2017 by Kensington Palace courtesy of the Obama Foundation, Britain's Prince Harry, right, interviews former US President Barack Obama as part of his guest editorship of BBC Radio 4's Today programme which is to be broadcast on the December 27, 2017. The interview was recorded in Toronto in September 2017 during the Invictus Games. Former President Barack Obama told Prince Harry in an interview broadcast Wednesday that he felt serene the day he left the White House despite the sense that much important work remained unfinished. Britain's Prince Harry and former U.S. President Barack Obama warmed up ahead of an interview that will air on BBC Radio 4 on Dec. 27. 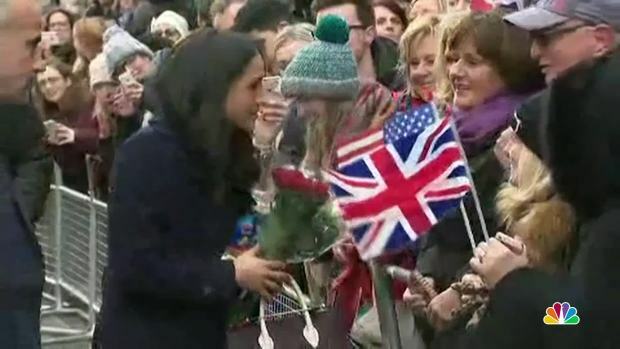 Harry also interviewed his father, Prince Charles, who offered a more gloomy assessment. He said the root causes of climate change are not being addressed even as it leads to more destruction in many parts of the world.